Your contractor software hub – the tools to power your business. 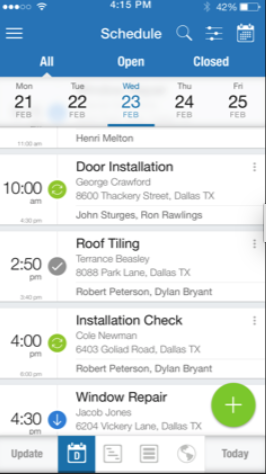 In the office or on the go, equip your team with the tools to manage customers, schedule jobs, create estimates and invoices, track employee time and location, and much more! Collect reviews after every job closes in FieldPulse, auto-magically. Login to NiceJob in the FieldPulse app - then you're all set! Afterwards, every time you close a job in FieldPulse NiceJob will automatically follow-up with smart review invitations!